From a Pokêmon inspired rose and exploring the sound a kiss makes, through to Star Wars cards and discovering that kissing is good for you, geeks and gamers have proven that they can be immeasurably creative when it comes to romance. Another excellent example comes in the form of a very thoughtful ransom note that creatively uses the title names of popular video games, like Uncharted, Call of Duty, Halo and Borderlands, among others, to replace common words in a note that aims to clarify the relationship between “player one” and “player two”. 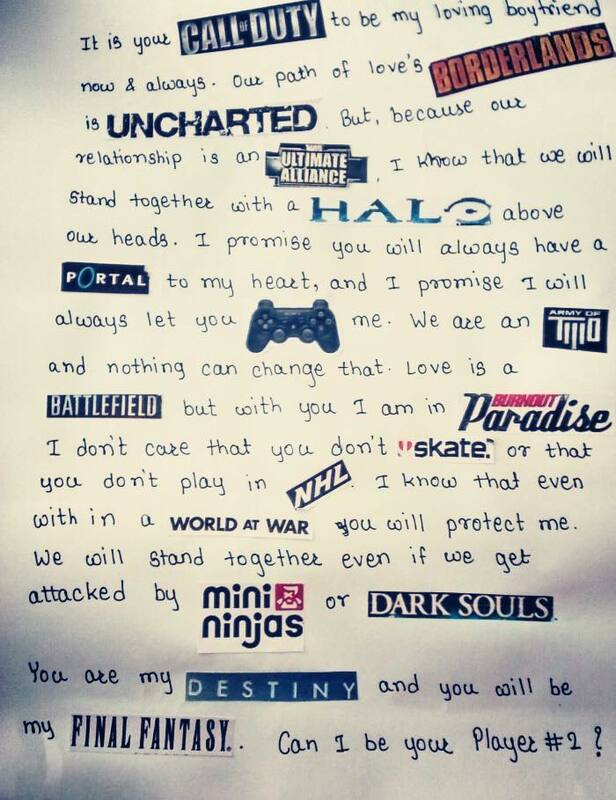 Given this note, would you accept this “player two” into your life? I know I would. Cosplay for Breast Cancer Awareness at rAge 2018!